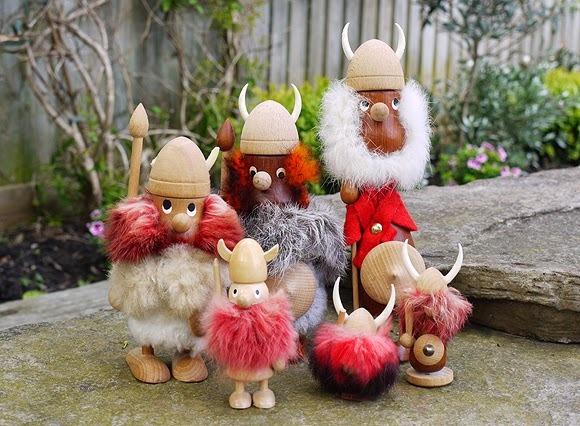 Here is our proud hoard of Danish vikings! Let's meet the Vikings . . . Above: Eric -We've had this Viking in our family the longest. 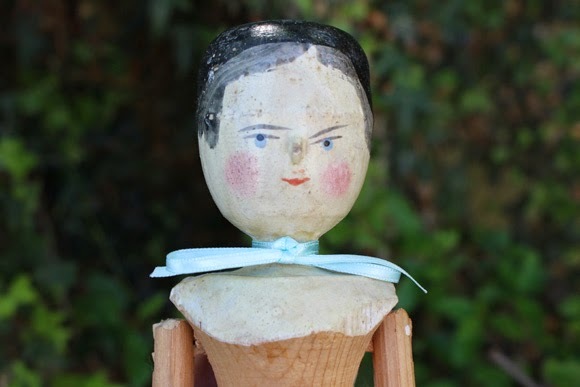 My parents bought it in Odense, Denmark, about 23 years ago as a gift for my Grandad. 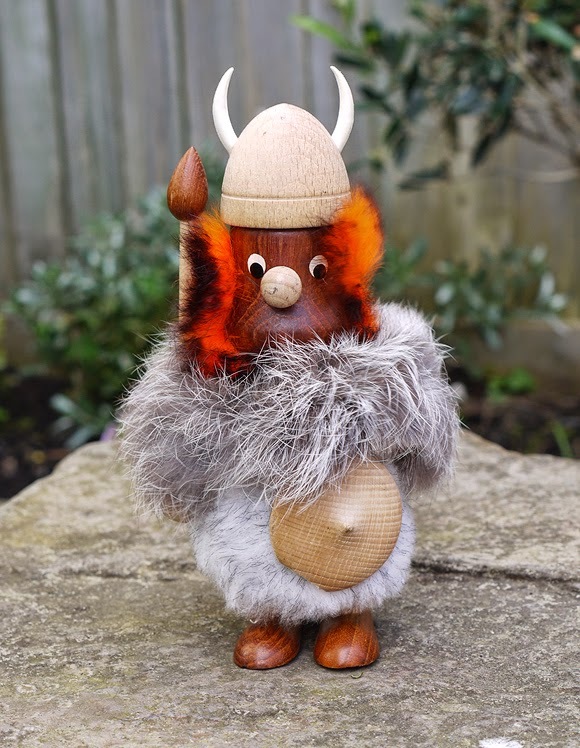 The Viking lived with my Grandparents for years and years until, sadly they both passed away and this little warrior came back into my parent's possession. He's been through the wars a bit - both his horns are somewhat damaged - but he is the real heart of our collection; the first of our Viking hoard! 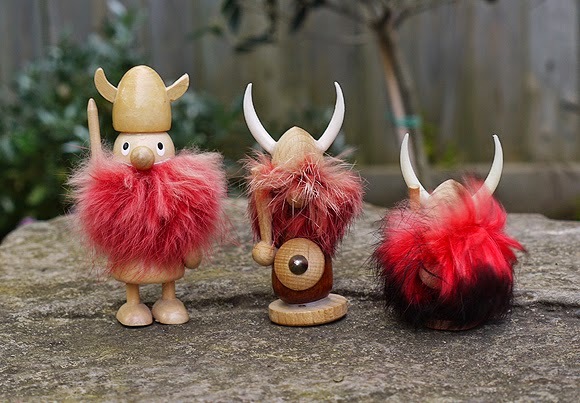 Above: Big Red - This Viking was found perched up high on top of a glass cabinet in a dark corner of Lewes Flea Market, and - along with White Beard (below) - is the newest addition to the hoard. 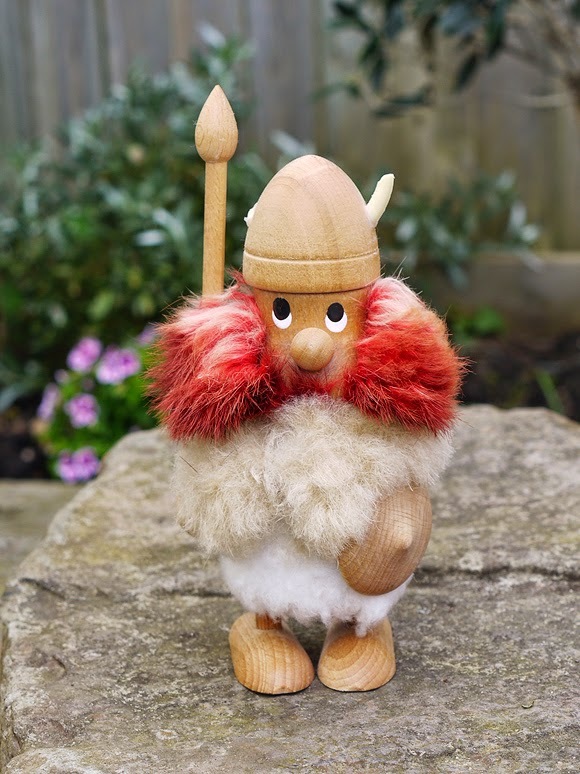 He is made of teak with rabbit hair and holds his spear and shield proudly! Above: White Beard - Both White Beard and Big Red were found at the same time, in the same place. I wonder how long they'd stood there in the Flea Market before we happened upon them? 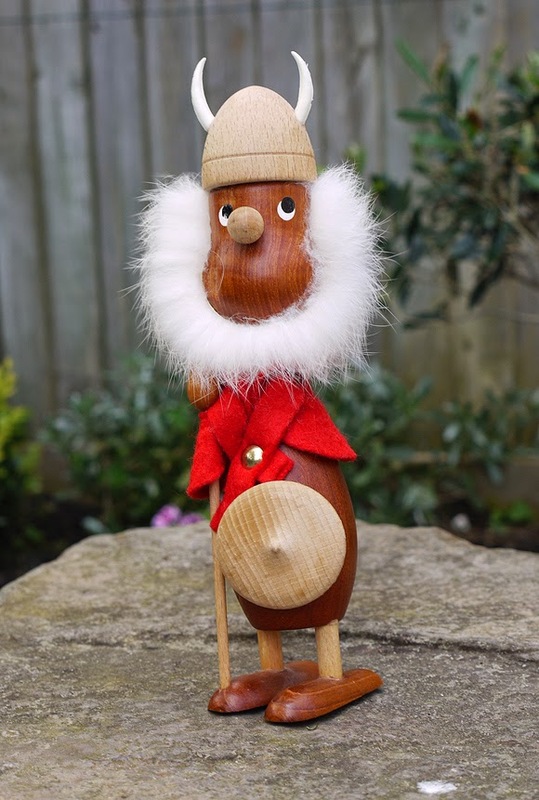 Again, he is made of teak with rabbit hair beard and red felt cloak. His horns, shield and spear are in perfect condition. 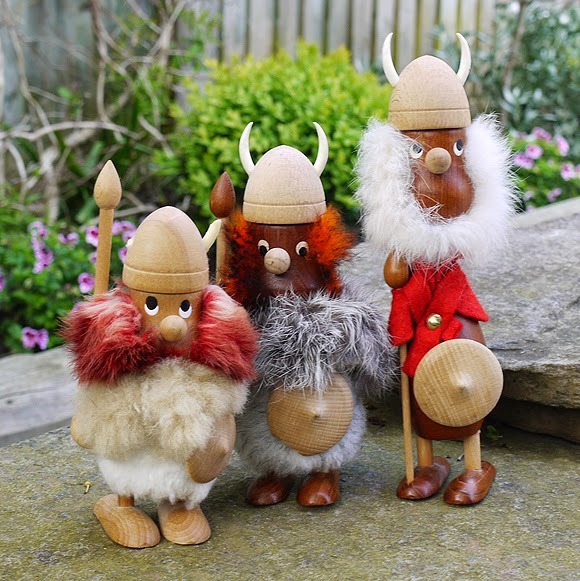 Above L-R: The smallest members of the gang - Olaf, the Viking with the wooden horns, I picked up in Copenhagen in 2009, whilst Sven and Thor came to us via Etsy. I imagine that lanky Sven and short and stout Thor are rather clumsy little characters, always one step behind and getting into scrapes!